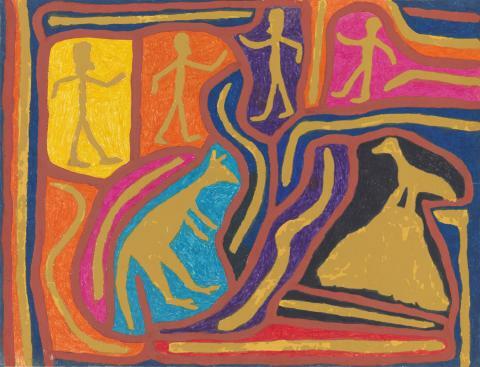 The Jimmy Pike collection offers insight into the life of a Walmajarri artist deeply connected to his country in the Great Sandy Desert. Donated in 2016 by Pat Lowe, the artist’s wife and long-time collaborator, the collection includes over 440 individual artworks, many adapted by Desert Designs in the 1980s and 1990s into internationally renowned fashion. 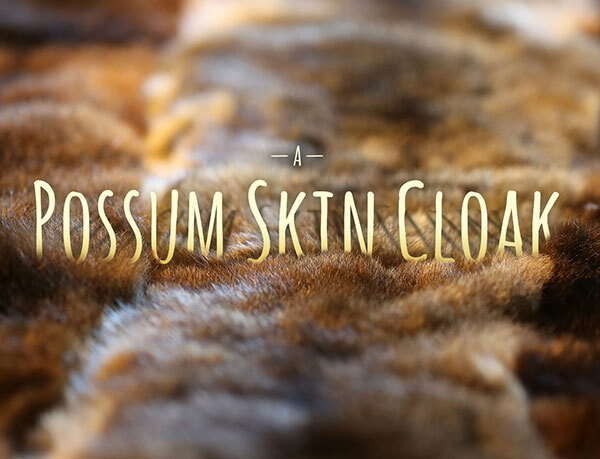 Designed and created by Yorta Yorta, Mutti Mutti, Boon Wurrung artist Lee Darroch, the AIATSIS possum skin cloak relates the story of AIATSIS as a major national cultural institution. This is the first time this story has been represented in a cultural form. The cloak design features canoe forms that navigate and link the different parts of the Institute, with shared waterways depicting the flow of materials and knowledge between communities and AIATSIS. View the online exhibition on the AIATSIS website.